Centeris is opening what’s said to be the first transpacific data hub designed to store data and connect data centers in Asia and along the West Coast. The region is about to get another big, direct connection to Asia, this time in the form of data transmission and storage. Two Puget Sound-area companies are partnering to open a massive data center and computing hub on an 86-acre campus in Puyallup. The facility will serve as a key connection point for businesses sending information to and from Asia and along the West Coast. “Connecting the U.S. and Asia is increasingly important from an IT standpoint,” Centeris board director Simon Lee said. Centeris said the center, called the Transpacific Hub, is the first of its kind in the U.S. Other data centers have direct connections to Asia, but most of those function as a middle point in a telecommunications network. The Transpacific Hub also allows information to be stored and processed on site — a useful function for cloud computing. Traffic from Asia is increasing “exponentially,” Lee said, and more demand means there is a need for more power. 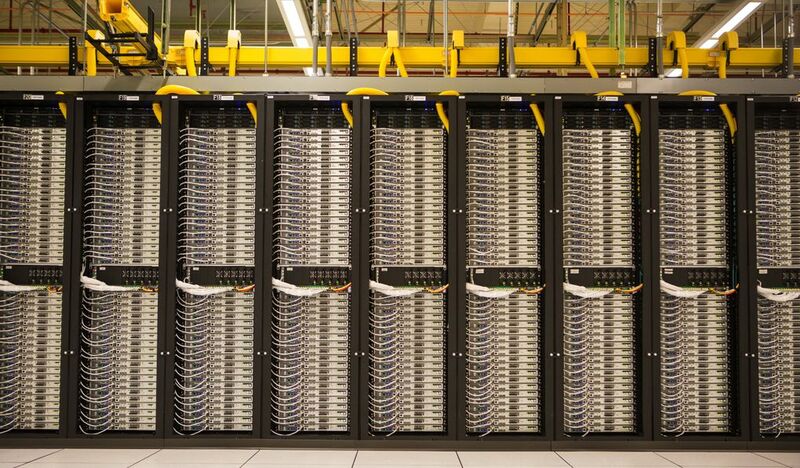 The Transpacific Hub has a 56,000 square-foot space dedicated to housing servers. About 10 percent of the space already is occupied by Centeris’ initial five customers, which the company didn’t disclose. 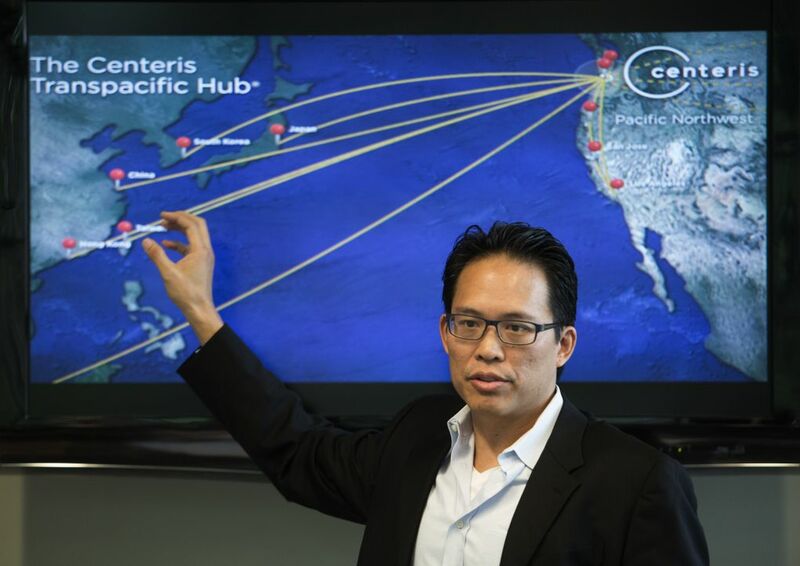 Centeris, a 2-year-old company started and owned by the Benaroya Co., does not build the physical infrastructure that carries information across the Pacific Ocean to the U.S. from Asia, nor does it plan to. Instead, companies contract with Centeris to keep server cabinets in the center, meaning the Transpacific Hub is the first place the data is stored once it reaches the U.S.
Companies can then work with Wave to carry the information to anywhere on the West Coast or to another data center. Kirkland-based Wave, which is quickly becoming a broadband powerhouse on the West Coast, connects its fiber-optic lines to “key points” of Centeris’ hub. Wave’s network also connects the hub to the Westin’s Building Exchange in downtown Seattle, a big telecommunications center for the region. The partnership will allow Wave to connect many major data centers — it currently provides fiber and networking infrastructure to 80 West Coast data centers — and likely will bring the company new business customers that want to connect to Asia and other points on the West Coast, said Paul Koss, senior vice president of business solutions at Wave. Wave has been expanding its fiber broadband network across Washington, Oregon and California. The company raised $130 million from investors last year to build fiber lines and reach more customers. Wave has become a notable presence in Seattle, competing with Comcast and CenturyLink. Centeris noted that its data center is “carrier-neutral” — customers are not required to use Wave as a provider. 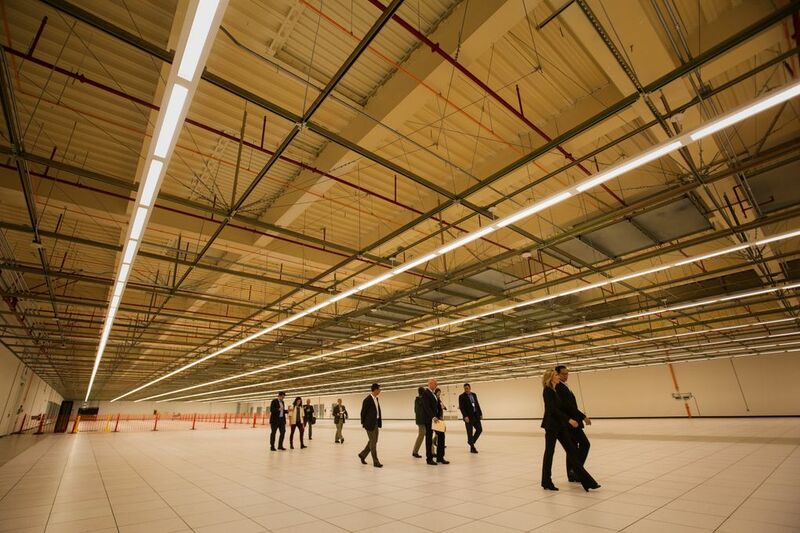 The data center itself is made up of two buildings, totaling 376,000 square feet. Trees surround the campus, which is off the beaten path near downtown Puyallup, hidden from the main road. Privacy and security are key to Centeris, which has security manning the site at all hours. The only other employee at the site is an operator who sits in a control room, making sure the servers are secure and no outages have occurred. If there’s an outage, the facility has nine generators that kick in within 11 seconds. Servers are stored in big pods, with aisles of 40 cabinets each. Centeris wants a variety of clients housed at the site, Lee said, in hopes that customers who work together will be able to share information easily at the center. The hub is targeting clients involved in technology, logistics and finance. The server room is kept at a comfortable 74 degrees, a temperature achieved through a process that uses and recirculates natural air from outdoors — one of the benefits of being in the mild temperatures of the Pacific Northwest — without using air conditioners or heaters. That system, as well as several other features dotting the campus, help keep the facility as environmentally friendly as possible, Lee said, not an easy feat for a business that exists to consume energy. The South Hill campus, as Centeris calls it, was built in 2008 and remodeled in 2011. Wave added its fiber backbone over the course of last year. A second building on the campus does not yet host servers, though Centeris plans to build it out within the next year. The company has more than a million square feet of land left on the site where future buildings can be built.